Midwest Cooling Towers has the experience and expertise to build the right cooling tower for your ethanol plant. Our experienced engineering and design group can offer you the best-cost option for your cooling tower. 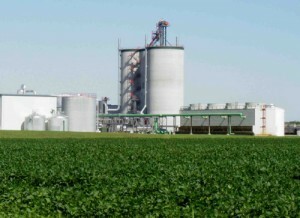 More and more ethanol and biofuels customers turn to Midwest Cooling Towers. Our list of completed and successful installations includes a majority of the current biofuels plants. Ethanol/biofuels is a very important segment of our business and Midwest Cooling Towers is poised to grow right along with the industry. In addition to new construction, Midwest Cooling Towers has a great deal of expertise in reconstruction and repair. Anyone who works in the ethanol industry understands the necessity of keeping every aspect of the plant on line and running as smoothly as possible. We know that when your cooling tower is off line because of damage, your most important concern is getting it back up and running. If needed, our emergency response team can move quickly and efficiently to assess your situation and get you back on line fast.